Partnering for a Sustainable Chicago » Tim Black Garden Open! It’s been a big couple of weeks for the Timuel D. Black Edible Arts Garden at 5710 S. Woodlawn. Our opening ceremony was a smashing success. It was extremely well-attended – thanks to OMSA for collaborating with us on both that event and the garden project as a whole! Tim Black and Bart Schultz both spoke about the garden, and the plaque was officially unveiled. As you can see above, we’ve also had our first harvest. 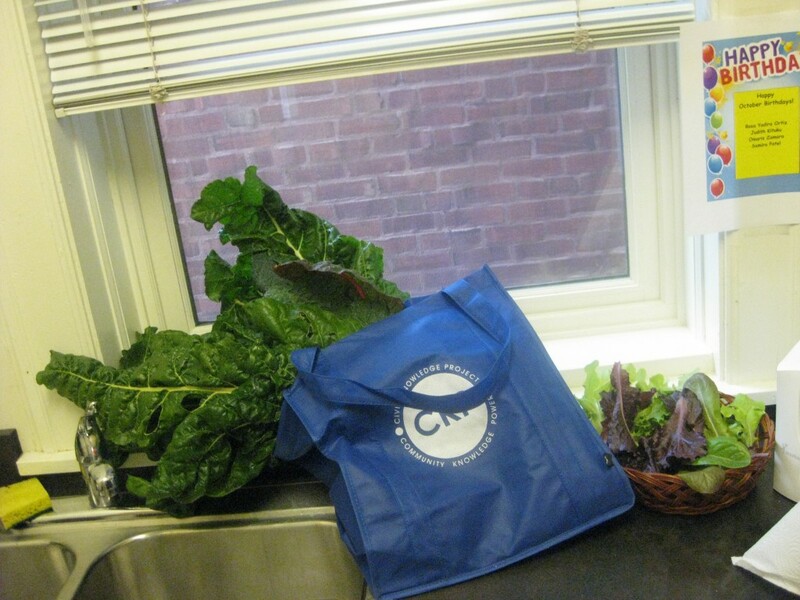 I picked some kale, swiss chard, and lettuce and put them in the community refrigerator at 5710. We hope to have a harvest party sometime in the next couple of weeks, since it’s getting cold!